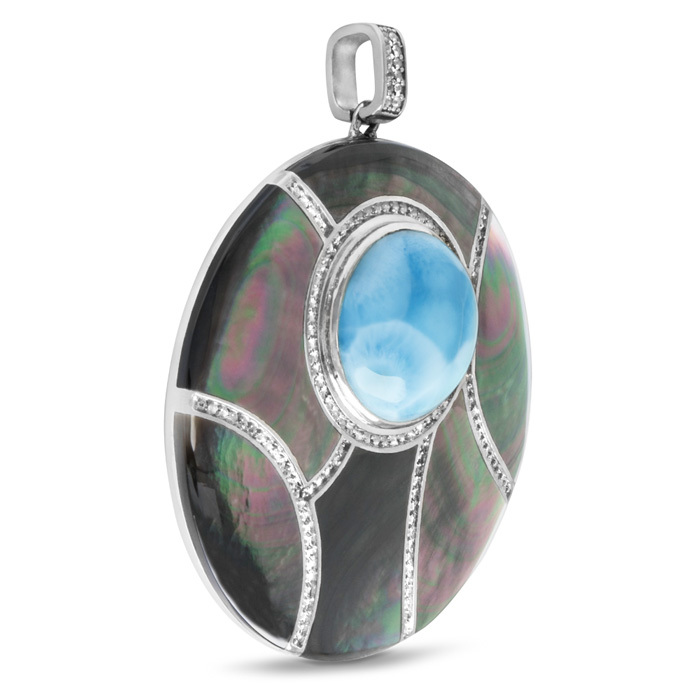 The mysterious nature of black mother of pearl sets the tone for this handsome piece, our Laguna large necklace. A gleaming round of larimar sits atop, surrounded and escorted by white sapphires, like lines of admirers, applauding its beauty. Product Details: 18mm larimar gemstones with mother of pearl, white sapphire, and sterling silver. 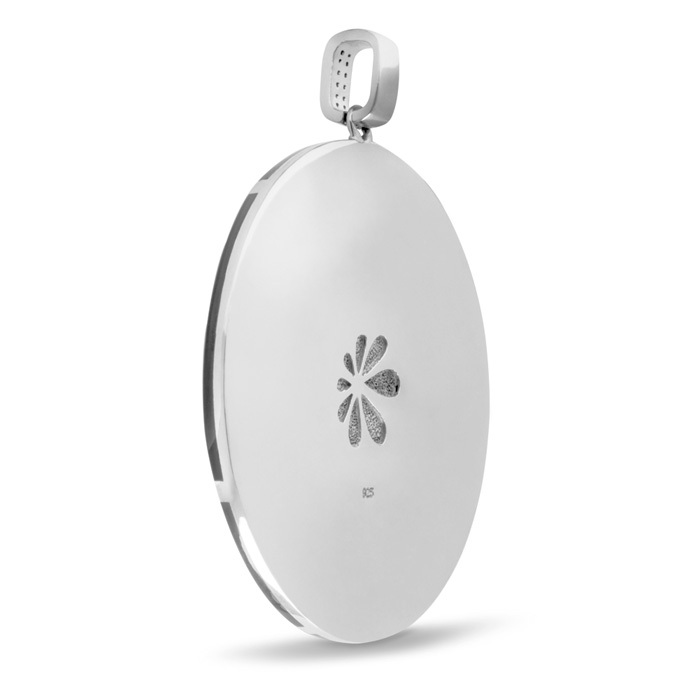 Overall size is 35mm round. Comes with an adjustable 21” sterling silver chain with an easy, sliding mechanism and lobster clasp that you can set to the perfect length for your look!